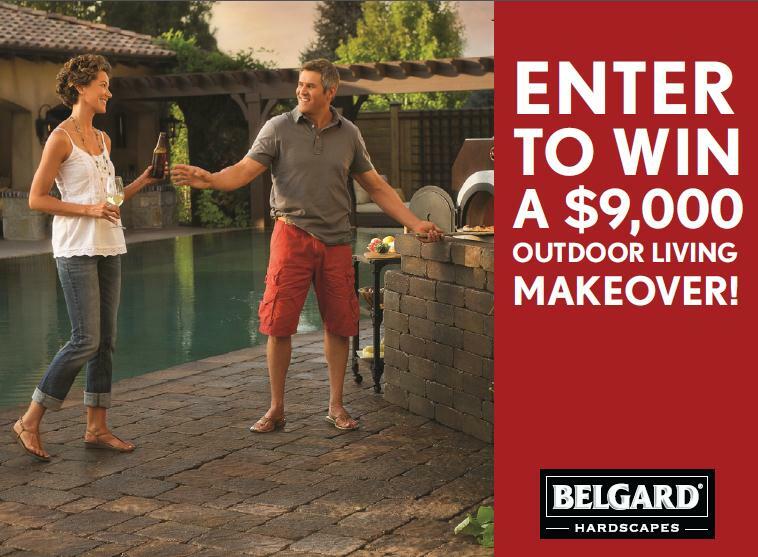 Enter to Win a $9,000 Outdoor Living Makeover from Belgard Hardscapes and Better Homes and Gardens! Belgard Hardscapes and Better Homes and Gardens are teaming up to give you the 2013 Outdoor Living Makeover Sweepstakes! This month we’re bringing you an extra special outdoor entertaining tip of the month where you can enter to win a $9,000 outdoor living makeover that will make you the host with the most when friends and family visit. In conjunction with Meredith Corporation, publisher of Better Homes & Gardens, Traditional Home and Midwest Living, we’re launching an outdoor living style quiz and backyard makeover sweepstakes running March 8, 2013 through May 27, 2013. The questions at Belgard.biz/StyleQuiz will help you explore your tastes and preferences in outdoor living and entertaining, generating a profile that identifies your outdoor living style. Offering inspiration and education, the quiz matches you with the Belgard pavers that capture looks that are classic, transitional and natural. Upon receiving your outdoor living style type, you will be entered to win a $9,000 backyard makeover. The randomly selected grand prize winner will receive a personalized landscape plan specifically tailored to the winner‘s outdoor lifestyle, up to $4,000 worth of Belgard pavers and wall product and up to $5,000 towards the cost of installation. For full contest rules and regulations and to enter, visit Belgard.biz/StyleQuiz.